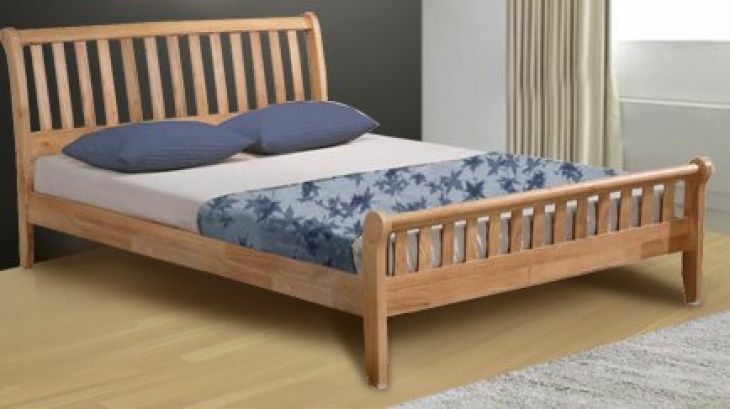 The Padeswood by Flintshire Furniture is a solid hardwood bed frame, with stylish sloping head and foot ends. These beds are cheaper than solid oak bed frames, but retain the strength and sturdiness we often think of as unique to oak. This bed frame is built to last, and although it does not have quite the same character as an oak bed frame, the price tag makes up for it! The Padeswood has a simple charm, and would look good in any bedroom setting. This bed suits a UK Single size mattress (90 x 190 cm).